Get functional fashion with this men's digital watch from Casio. With a black dial and sleek stainless steel case and bracelet strap, this men's chronograph watch gives you the perfect timing. 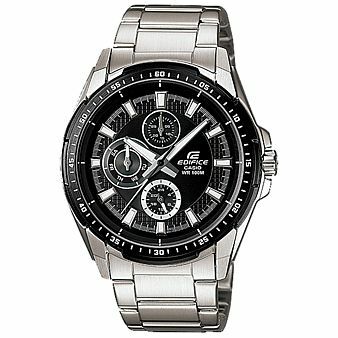 Casio Edifice Men's Stainless Steel Bracelet Watch is rated 5.0 out of 5 by 3. Rated 5 out of 5 by Anonymous from Great gift I am so thrilled with this watch which I purchased for my boyfriend as a Christmas present. It is very classic and looks sophisticated on. He is very pleased with it.